Juuttiputiikki (Finnish for “jute boutique”) is a Worldshop specialised in fair trade goods, run by the not-for-profit organisation Swallows in Northern Finland. Established in 1978, it is the oldest Worldshop in Finland. 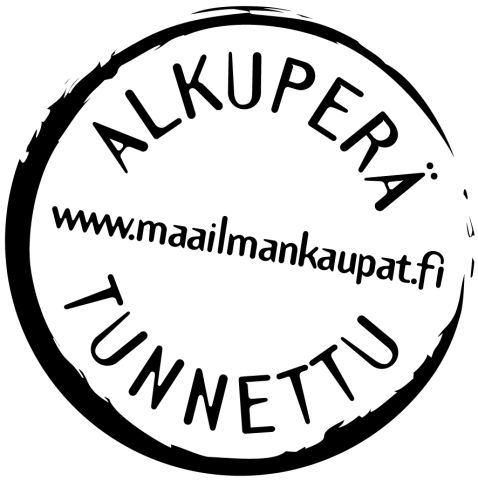 Juuttiputiikki is a member of the Finnish Association of World Shops. The aim of the organisation is to contribute to global equality by practising fair trade with small producer groups. We also aim to provide information about fair trade and ethical consumption. The organisation is largely based on voluntary work. Juuttiputiikki offers a wide variety of Fair Trade labelled products and ethically manufactured, fair handicrafts. In our webshop you can find bags and wallets, interior decoration supplies and handmade paper crafts, among other things.